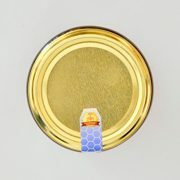 Honey is a natural, sweet liquid produced by bees from the nectar of flowers. 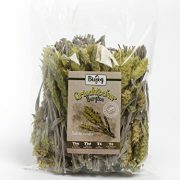 It has long been used for both nutrition and medicinal healing. 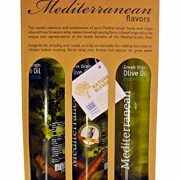 Great with Greek yogurt, porridge, tea, cereal, toast, cheese, dressings and glazing. 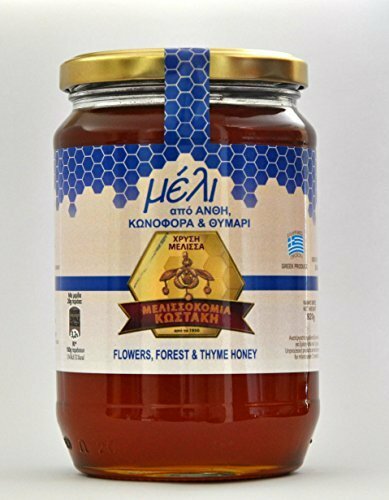 Our honey comes from small-scale forest beekeepers in virgin mountains of Greece using traditional hives. 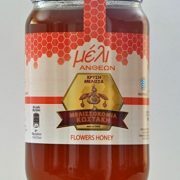 Honey is considered one of the most valuable, nutritious and healthiest foods. Having it in our daily diet gives us vitality and contributes to a healthier and longer life. Our honey is 100% pure and is not pasteurized. 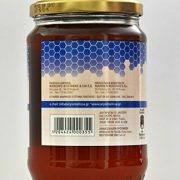 It has been filtered to remove wax and other particles in the honey. As such, liquid honey will granulate over time. This is normal and ensures you have quality honey. 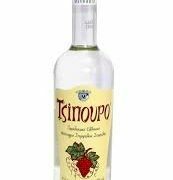 To re-liquify it, place it in a pot of warm water and leave until runny. 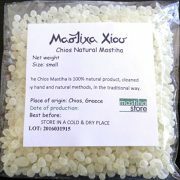 Ideal for use in cooking, baking, adding to cereals and hot drinks (like tea and coffee) or simply spreading on toast. 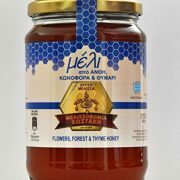 Traditional Pure and Raw Greek Honey from Thyme and Wild Flowers. 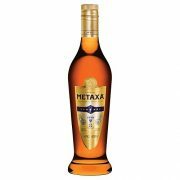 Amazing taste and full flavor that gives an energy boost in the breakfast.